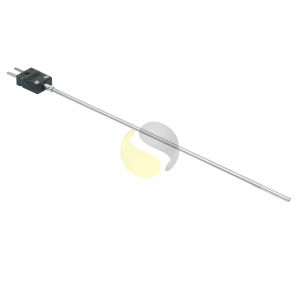 Mineral insulated thermocouple terminated with a miniature flat pin plug for use in a process or with hand held instrumentation. Mineral insulated thermocouples have a wide temperature range capability from -200 to above 1200°C and are very robust, making them ideal for demanding applications. 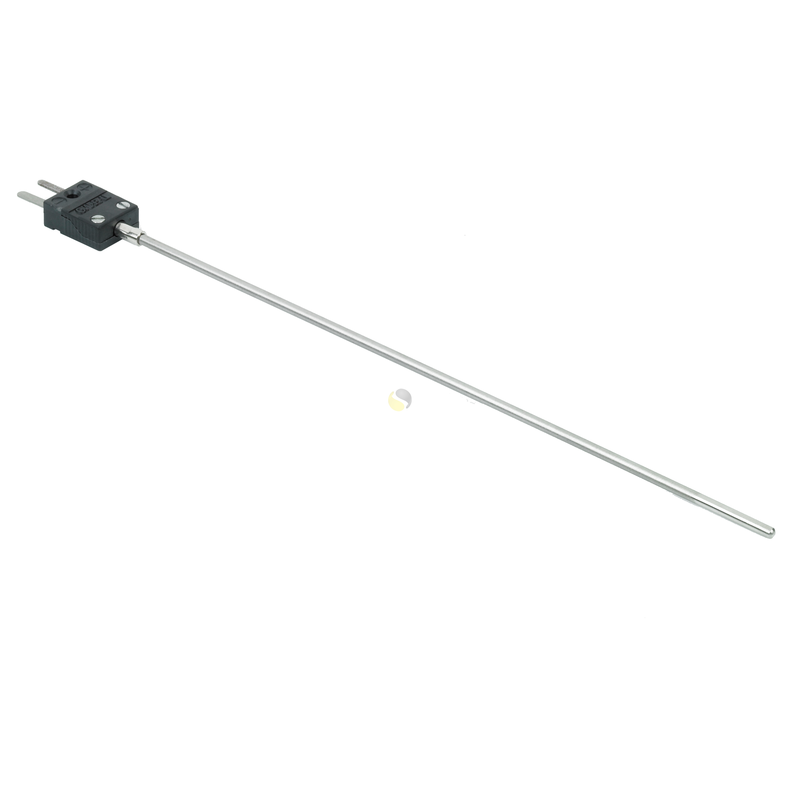 Although shown straight, mineral insulated thermocouples can be bent around formers (with a radius of three times the probe diameter) and at angles and shapes to suit the application. 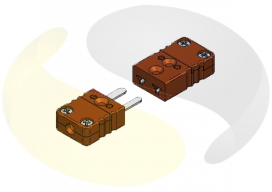 They are generally manufactured with an insulated (ungrounded) junction which reduces any electrical interference and provides a stable reading. 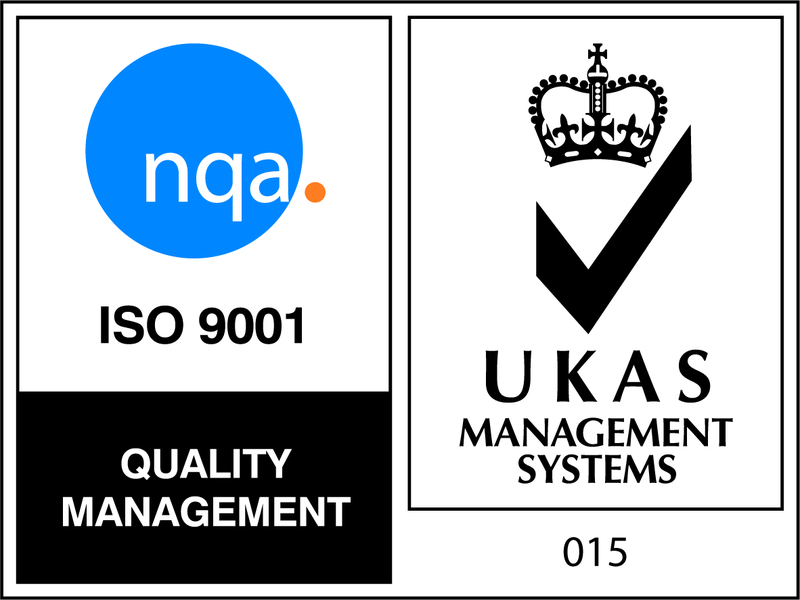 They are also available with grounded or exposed tips and sheath materials of stainless steel, Inconel or Nicrosil. 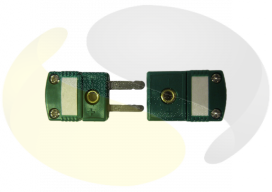 The polarised mini plug allows quick and simple connection and interchange. 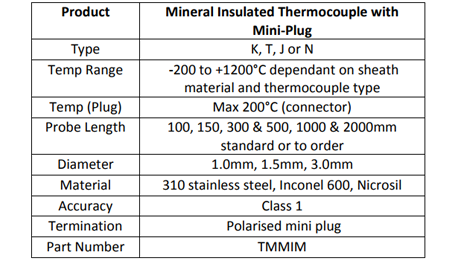 For more information on the advantages of mineral insulated thermocouples, please see our technical reference section.